We are a chennai based Chocolate Box manufacturer and supplying our products to south india customer. It comes in three different colours, Gold, Silver, Brown. 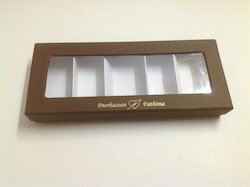 It has 5 partitions and is designed so that the chocolates in it are visible. 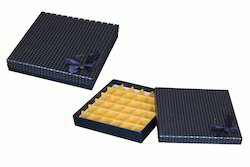 We offer Chocolate Boxes With Partition In Chennai which are available to our esteemed clients at competitive prices. These are made of quality paper so as to ensure safe and proper storage of various types of chocolates. 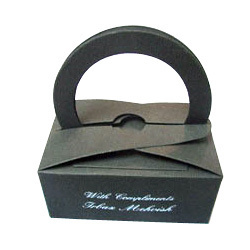 These boxes can be made in an assortment of eye-catching Handmade Papers or Mill made Papers. 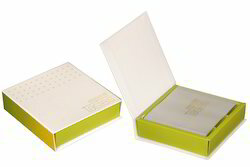 We offer Chocolate Boxes In Chennai which are available to our esteemed clients at competitive prices. These are made of quality paper so as to ensure safe and proper storage of various types of choclates. These boxes can be made in an assortment of eye-catching Handmade Papers or Mill made Papers. Looking for Chocolate Boxes ?